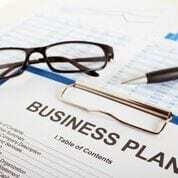 Studies show that you have a better chance of success with a business plan. Learn how to write a business plan for all aspects of your business, including marketing, finance, operations, personnel and overall strategy. Walter Manninen joined the staff of the Massachusetts Small Business Development Center's Northeast Regional Office in November 2005. A former entrepreneur, Walter served as president and chief executive officer of CXO Media Inc. which published Chief Information Officer, Chief Security Officer and Chief Marketing Officer magazines for senior managers bridging technology and businesses along with associated professional conferences. Walter also brings to the SBDC ten years of experience in banking as a treasurer, controller, vice president and loan officer. His outstanding performance was noted in 2004, when he was nominated for an Ernst & Young Entrepreneur of the Year Award, and was later given the IDG Chairman’s Award for Entrepreneurial Leadership. In 2005, Walter partnered with the director of the Secret Service and the director of CERT Coordination Center to conduct a comprehensive research study on cyber security. Walter holds a BS from Salem State College and an MBA from Suffolk University. 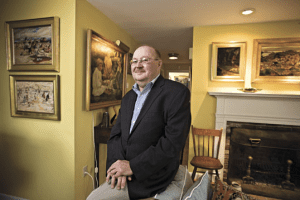 His interest in art, demonstrated through his philanthropy, has resulted in an endowed chair and a building named in his honor at Endicott College the WALTER J. MANNINEN CENTER FOR THE ARTS. Walter’s art collection has been highlighted in several feature articles both in U.S. News and World Report, along with CFO Magazine.